The Broholmer is a large, powerful-looking dog. He was originally bred to be a guard dog. However, over time, he has become a companion dog as well. He does well in families with older children but is not recommended for families with younger children. He can be friendly and protective, often suspicious of strangers or anyone who comes near their home. The Broholmer needs a strong trainer to be his leader as he can be a very stubborn dog. Training should continue throughout his adult life or he will try to take the leadership role from you. Having a Broholmer in your family will surely bring joy to your life. Being fond of people of all ages, including the elderly and the children, it makes a great family companion. It displays extreme devotion to its family, with its life always revolving around its people. Always alert with everything around them, the Broholmer will not hesitate to defend its humans from any real danger. Although it is wary around strangers, it does not show aggression towards unfamiliar people or other pets. If you are looking for a friendly dog with strong protective instincts, the Broholmer may be the right dog for you. The Broholmer dogs are very good with older children. What Price are Broholmer Puppies? The price of Broholmer puppies is approximately $1,600. A year of basic health care and insurance coverage can total to $485. Food expenses, like good quality dry dog food and treats can cost about $470 a year. How to Find Reputable Broholmer Breeders? Reputable breeders take care to choose responsible dog owners. They raise their litter properly and put in effort to make sure the puppies are healthy and well-adjusted. They rarely breed more than 2 or 3 litters a year, sometimes less than that. Finding a reputable breeder is not easy, but it is definitely worth the effort. You may like to begin your search by going to dog shows and talking to breeders and owners there about their dogs. Dog shows are usually advertised in the specialist dog press or via the internet. Learn about local breed clubs and ask people who run them how you can get in touch with a good breeder. These are real breed enthusiasts and can give you lots of useful information. You can also ask people who own nice dogs of your chosen breed where their dog came from and talk to their breeder. Reputable breeders do not breed often, and they do not breed to order. They will be able to tell you when their next litter is planned, so be prepared to wait. If you have chosen your breeder well, it will be worth it. A reputable breeder will be concerned about the health and temperament of the puppies instead of breeding only to win prizes in the show ring. They allow you to see the mother with the puppies, and they let the puppies live in the house or have regular access to it. They socialize the puppies and get them used to things they will encounter when older. They are knowledgeable about dogs and care about what happens to the puppies they breed. he Broholmer is also known as the Dog of Frederick VII, Old Danish Dog, Gammel Dansk Hund, Danish Broholmer, and the Danish Mastiff. The Broholmer is named after the Sehested of Broholm, an 18th-century game-keeper. King Frederick VII is depicted in family portraits with Broholmer dogs, and it became immensely popular in the homes of wealthy Danish families throughout the 19th century. The Broholmer is gentle, affectionate, protective, and loving. The Broholmer is a large dog that weighs 80 to 180 pounds and stands 22 to 30 inches tall. It has a close resemblance to other Mastiff types but not as bulky and usually smaller than most of them. Its body is rectangular shaped and has a deep, broad chest and a strong neck that has some loose skin. 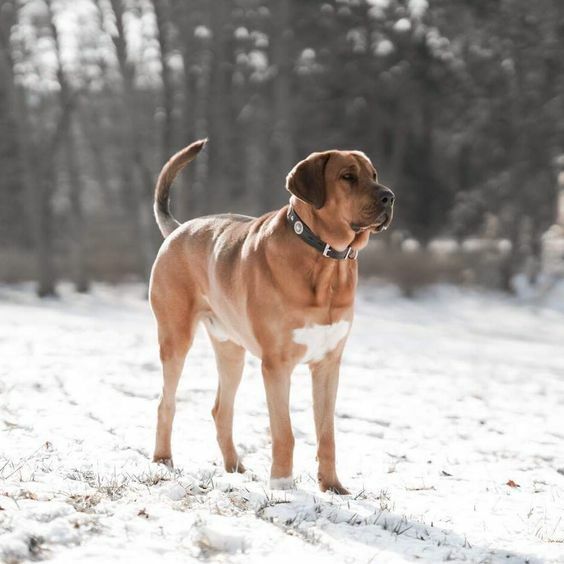 It is more athletic-looking than most Mastiffs and has thick legs and a low set long tail it usually holds low. Its coat is smooth, short, and harsh. Its colors include black, light brown, and yellow, some having white markings or black masks. Its head is large with a flat and broad skull. It does not have a short muzzle. In fact, its muzzle is the same length as its skull, and the top of it is parallel to the top of its head. It has pendulous lips, but not too loose. The nose is black and large. Its ears are medium-sized and hang close to the cheeks. Its eyes are round not overly large, and its colors can be dark to light amber. While the coat of this dog is easy to brush and wipe down, it is still a task that takes some time and commitment. It sheds a moderate amount, but it’s a heavy shedder on certain seasons. Brush your Broholmer as often as needed. It will not require professional grooming, unless you to choose one because you find it challenging to give it a bath. Clip its nails with a dog nail clipper when they get too long. Make sure to cut carefully, especially in the lower section of the nail that has blood vessels and nerves. Check its ears once a week for signs of infections, like irritation or a bad odor. Clean them and wipe the areas that you can reach. How Big is a Full-Grown Broholmer? The Broholmer stands between 22 and 30 inches tall, with males being larger than females. Females usually weigh between 90 and 130 pounds, while males weigh between 110 and 150 pounds. What is the Life Expectancy of the Broholmer? As a large breed dog, the Broholmer has quite a short lifespan averaging about 7 to 11 years. The Broholmer is a large, powerful-looking dog. The Broholmer is a calm and friendly breed with naturally watchful tendencies. It can get along well with children and does well as a family pet. But it will always be a little bit wary around strangers. 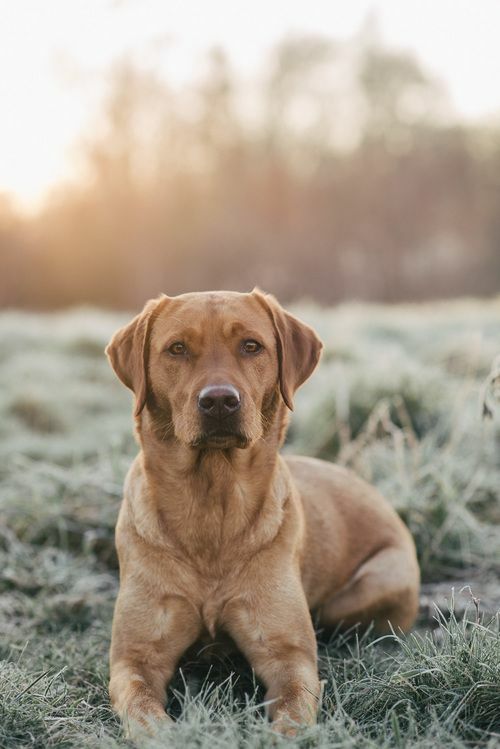 It does not tend to be aggressive toward people or other dogs, but it is recommended that you start with training and socialization at an early age to prevent the development of problem behaviors. The Broholmer is a very intelligent dog that responds well to training. It’s a watchdog by nature that has a bit of an independent streak. For this reason, it is recommended that you maintain a firm and consistent hand in training. The Broholmer needs confident and experienced owners who know how to correctly raise them. When placed in the right home and with the right family, it can be loyal, friendly, calm, and good-natured. This means it is a good watchdog that will bark to let you know there is an intruder, and it is likely to act to defend you and your home. It gets on well with others, so it can fit into a family home, as well as be a good companion for active single owners or couples. While wary of strangers, it is not people aggressive unless there is a threat. This is a confident and dominant dog that needs owners who are clear about being the pack leader. Otherwise, it will act like it’s the boss. It can be destructive, hard to live with, and loud. Its bark is loud and deep but should just be occasional. It forms very close bonds with its family and will be very devoted. It wants to be around their human family and does not like being left alone. It can suffer from separation anxiety if you leave it alone for long periods. Therefore, it needs owners who are in more than out. The Broholmer is a large-sized breed and should be offered a diet formulated for a dog of its size. Because this breed is so large, it may take longer to develop than other breeds. You may need to switch your puppy to adult food after nine months instead of waiting until he is a year old. How Much Exercise Does a Broholmer Need? This dog is moderately active. But because it is so big, that translates to a lot of activity. Broholmers should have at least one long walk a day, and then some playtime and other opportunities to explore somewhere safe. Expect to offer it about 45 minutes a day of physical activity and make sure it has mental stimulation. The Broholmer needs long daily walk to meet its exercise requirements. It’s not particularly high-spirited dog but may develop behavioral problems without regular physical activity. For the most part, the Broholmer is a healthy breed not prone to major health problems. Because of its large size, it may also be prone to developing certain musculoskeletal conditions like patellar luxation, elbow dysplasia, or hip dysplasia. These dogs are very good with children. They are gentle, affectionate, protective, and loving. However, toddlers should be supervised as they can get knocked over accidentally. Make sure you also teach your children how to touch and play nicely. 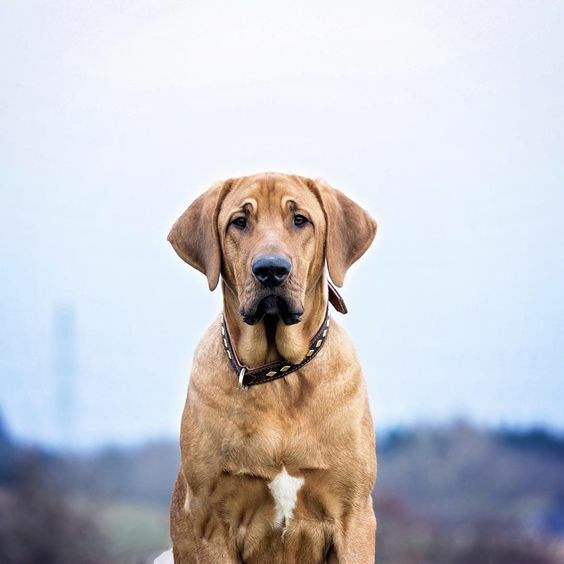 The Broholmer is an athletic version of a Mastiff type dog. It is at the smaller end of their size range but still a huge dog. People considering owning one need to be truly prepared for that. There will be the usual bodily smells and sounds that come with big dogs. Be ready to deal with gas, snores, slobber, and shedding. Socialization and training are important in having good control. Broholmer owners need experience and to be in control. It can be a good family dog if you have those things in place.